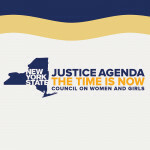 On April 9 at 4:30pm in the Villard Room in Main Building, the New York State Governor’s Office Council on Women and Girls is coming to Vassar College to present its 2019 Women’s Justice Agenda. Leading Chicago immigration attorney Lisa Scott ’81 will discuss the changes and challenges affecting U.S. immigration policy. On April 8 at 5:00pm in Taylor Hall, Room 203, Dr. Michael Mann will deliver "Return to the Madhouse: Climate Denial in the Age of Trump” as part of the Asprey CCAS Engaging Science Book Club. Dr. Mann is the Distinguished Professor of Atmospheric Science at Penn State, with joint appointments in the Department of Geosciences and the Earth and Environmental Systems Institute. He is a prominent figure in the field of climate science, and was a lead author of the Third Scientific Assessment Report published by the Intergovernmental Panel on Climate Change in 2001. On April 4 at 6:00 p.m., please join us for an evening of art, education, and empowerment, in Vassar College’s Ely Hall/Aula building, to raise awareness of human trafficking. The evening will include a three-part speaker series on: trafficking at a local and United States level; the Red Sand Project — an artist and activist project to raise awareness on human trafficking; and Shamere McKenzie's story as a survivor of trafficking. On March 27th at 6:00 p.m. in the Villard Room, Gerard Stropnicky will host the workshop, “Civic Empathy: A Field Report.” In our time, when 280-character insults and snarky memes pass for conversation, is Civic Empathy possible? Professor of Mathematical Sciences Suzanne Weekes will give a lecture entitled, “Lean Out: Connecting Outside the Ivory Tower,” on March 27, in Rockefeller Hall, 300, at 5:00pm. The technical lecture, “A Multi-compartment Mathematical Model of Cancer Stem Cell Driven Solid Tumor Growth Dynamics,” will be on March 28 in Rockefeller Hall, 300, at 3:00pm. On April 11th at 8:00 p.m. in the Villard Room, Jamaica Kincaid will deliver “Landscapes and Memories.” She skillfully and elegantly tempers the boundary between poetry and prose. Through her books and novels including Annie John, Lucy, At the Bottom of the River and A Small Place, she has carved out a unique and cherished place in the American literary landscape. This lecture, which has been made possible by the Gomez Mill House Foundation, which named Prof. Schorsch the 2018–19 Gomez Mill House Scholar, will begin on March 27 at 6:30pm in New England Building, room 105.